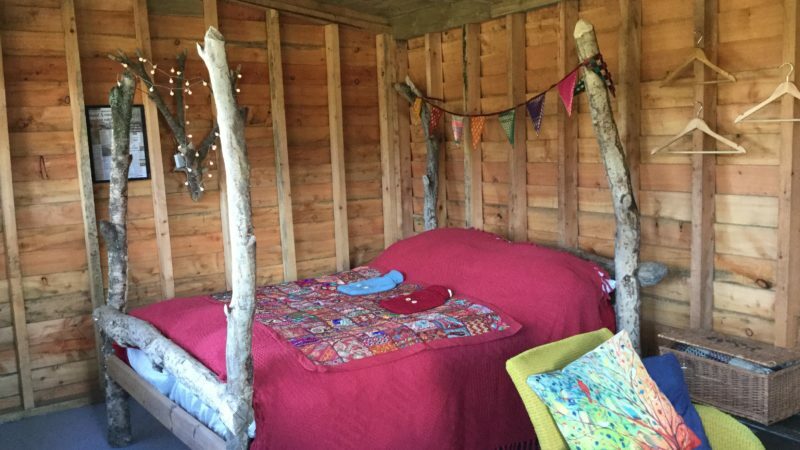 The Hideaway, on a lovely woodland footpath on the Cateran trail, overlooking two beaver ponds and one beaver dam, is a little bit like a wildlife watching hide, but it is also a romantic off-grid glamping hut of great charm. something up on a camping gas stove. It is fully equipped with bed linen, towels, crockery, cutlery, candles, etc and an initial basket of logs. 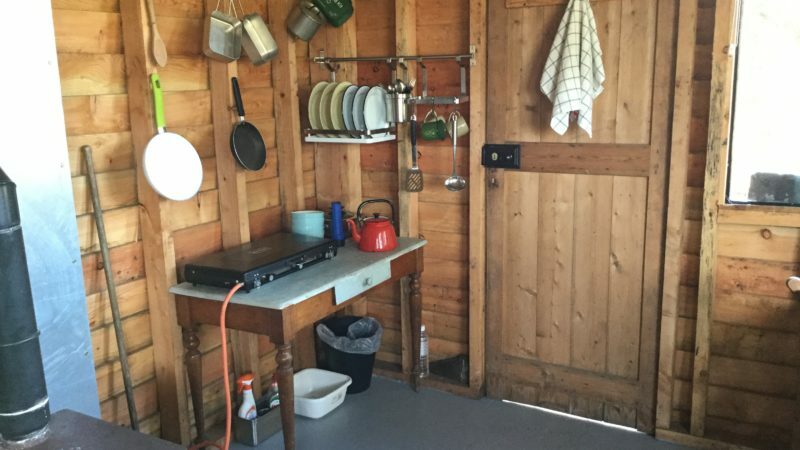 The Hideaway has its own off-grid shower and composting toilet in the woods behind. Fairy lights and lamps, a USB point to recharge your phone, and the shower are powered by a solar panel on the roof and a car battery ensures electricity all year round. Water for the shower is supplied from a rain water barrel from the roof. A z-bed can be made up on request for a small extra charge (or used with own bedding free). There is also a hammock which might be an option for a child. With such proximity to the beavers habitat at the front and a wood full of red squirrels behind, the Hideaway is ideal for lovers of quiet places and wildlife. 1 basket of fire-wood is supplied and extras are for sale at £5 a bag. The Hideaway guests may make use of the Yurt Facilities if needed, including a shower and room with wifi and tourist information. If you are not arriving on foot or by bike you can park your car nearby. The yurts are on the Cateran Trail so you can set off for a day’s walk in either direction. We can also arrange transport to and from any other sections of the trail.